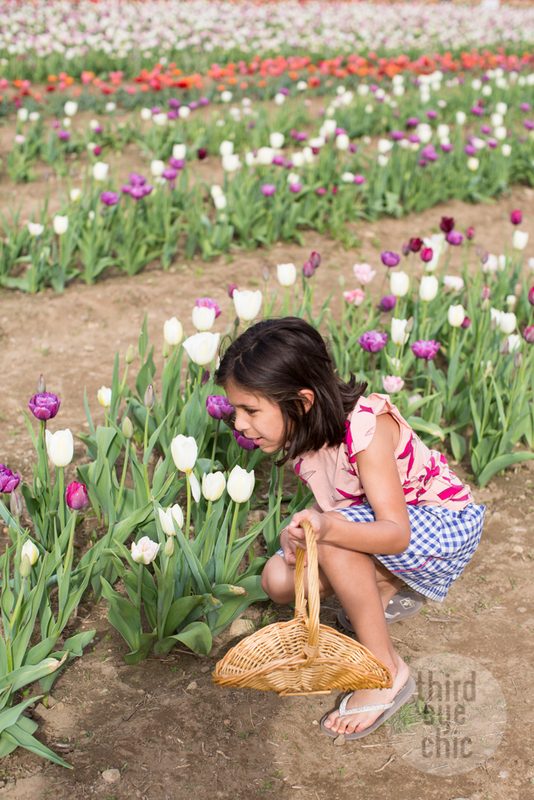 Remember last year’s visit to the Wicked Tulips Farm? We did it again this year! 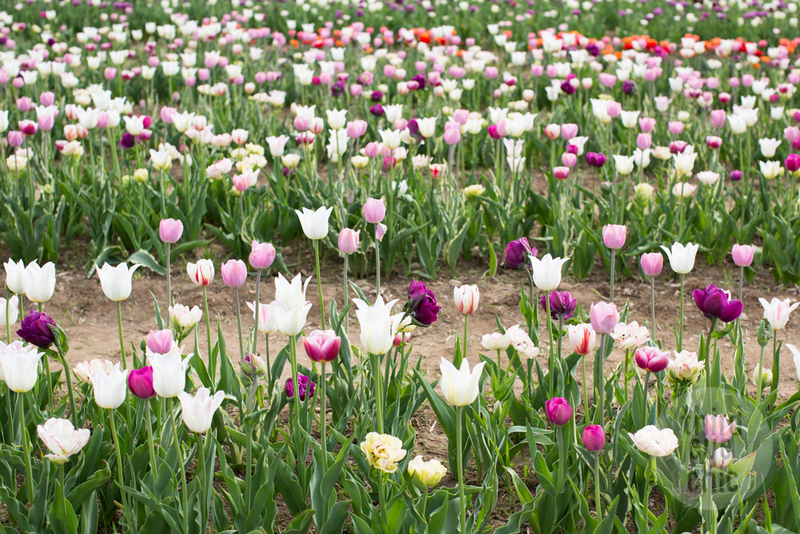 The tulips arrived a little late this year because of a prolonged winter. I had been waiting for a couple of weeks for the tickets to go on sale and I snagged them the minute they finally went on sale. It was a perfect day to be outside - not too hot, a little cloudy, and just the right amount of breeze. 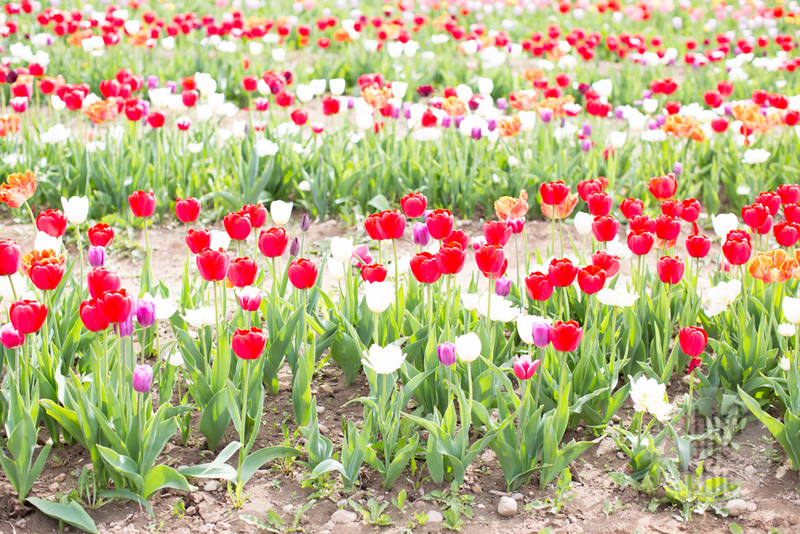 It’s such a pleasant and relaxing feeling to be surrounded by beautiful and colorful tulips. 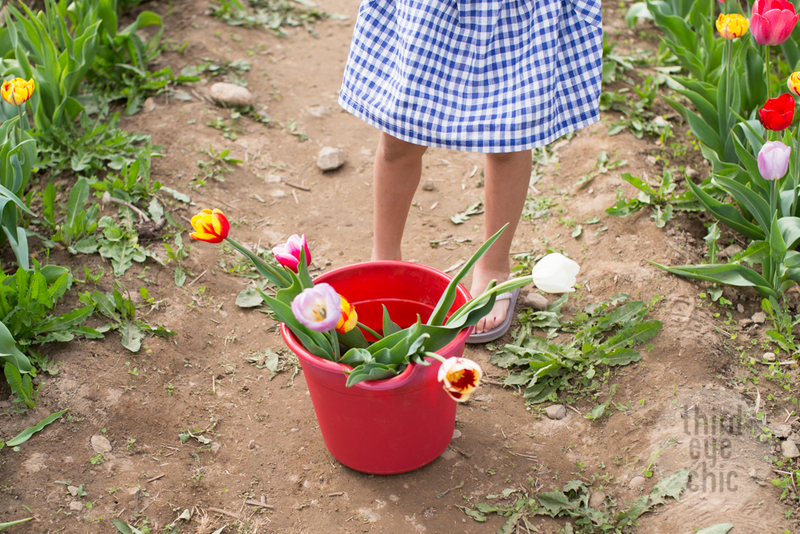 The girls had fun picking their favorite flowers and running around the farm. There was a ‘picking area’ for picking and a ‘show garden’ just for viewing. 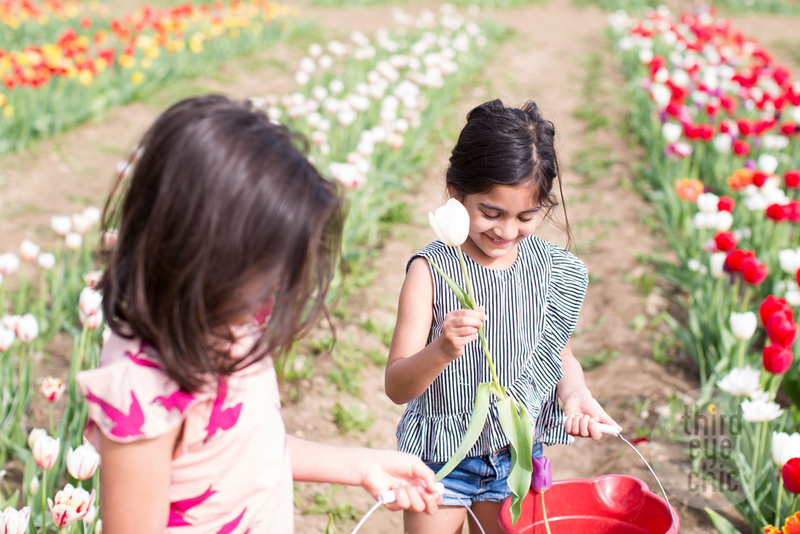 The girls spent a long time at the show garden checking out different colors and varieties of tulips -- Grand Perfection, Mary Ann, Fringed Mix, Pretty Princess, and Blushing Lady to name a few. 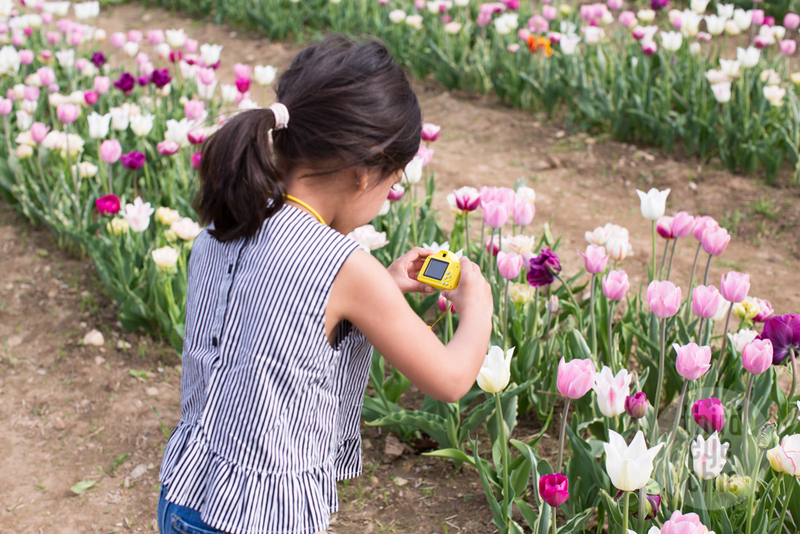 Our little budding photographer carried her camera (it’s real BTW) and enjoyed taking pictures. There were picnic tables by the farm -- we had brought some cheese and berries to enjoy after picking. 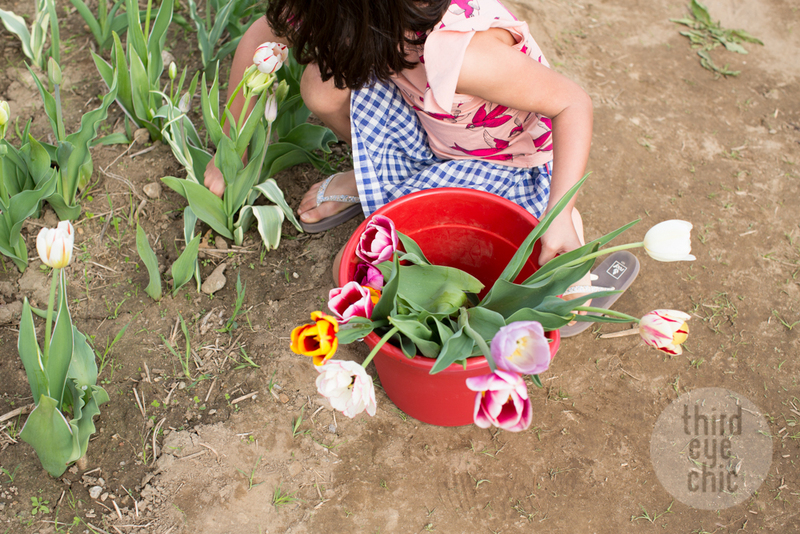 It was a short and sweet couple hours spent at the farm but we enjoyed the tulips we brought back home for another couple of weeks. 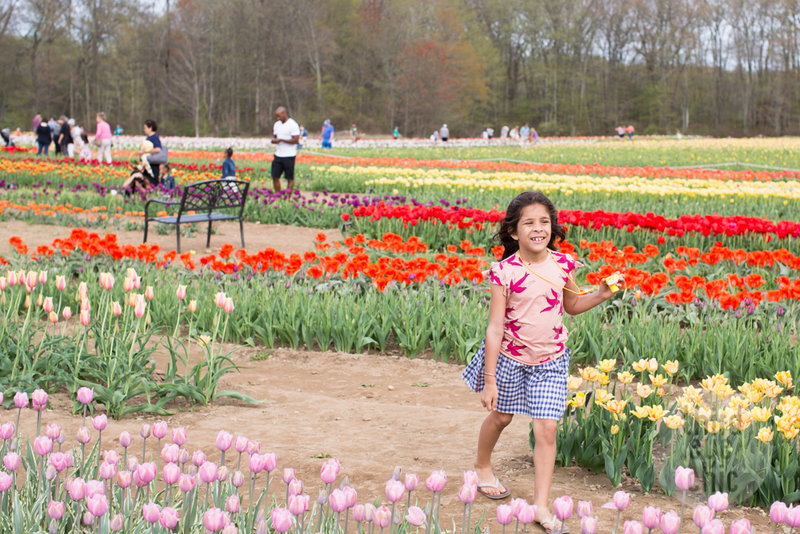 Tulip watching is one of my favorite spring-time activities, and I’m glad we got a chance to visit again this year! Collecting artwork for kids’ rooms is so special. I really enjoy finding unique pieces that inspire storytelling and creative thinking. Surrounding my girls with engaging yet playful artwork has not only livened up their bedroom but has also given their imaginations a chance to wander. I selected these five pieces to share with you today! They don’t necessarily belong together in a gallery wall, but could potentially work well together with a little reshuffling. One of the greatest things about artwork as decor is you can easily switch it up over time, especially once your little ones start having more of their own preferences. I love these whimsical pieces - so full of life and energy! I also love that they are playful and colorful without being too cutesy. This makes them young enough for the kids but aren’t too specific so the kids won’t outgrow these prints quickly. Mix and match and make collecting art a fun activity with your kids and don’t be afraid to change things up! It’s a wonderful feeling to create a space filled with art that both you and your children can enjoy together. 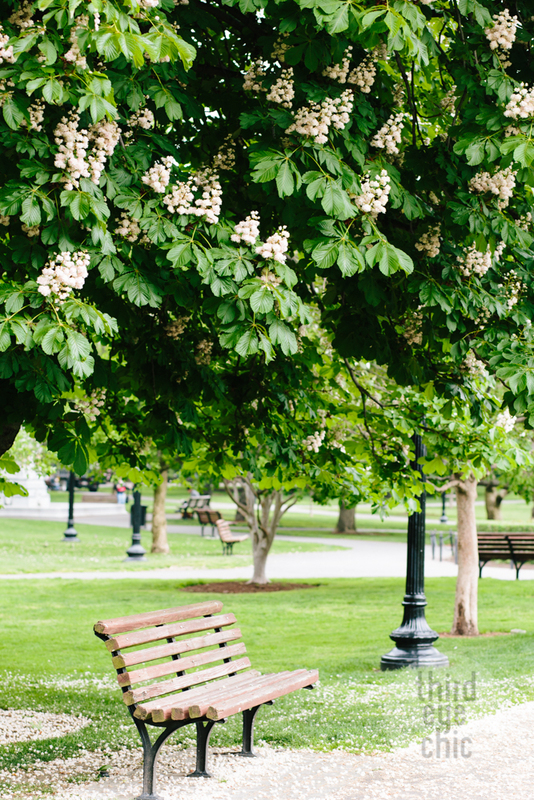 I have been photographing Mother’s Day Mini Sessions at the Boston Public Garden since past three years. 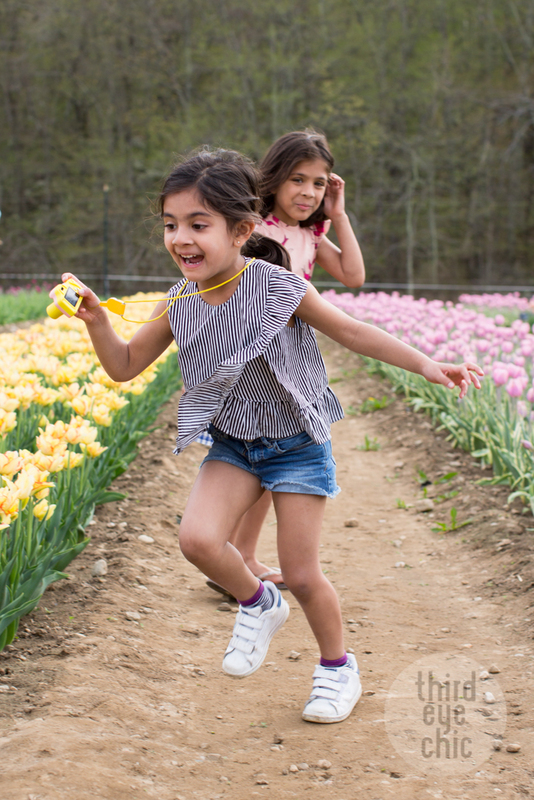 The weather starts to warm up by the end of April and spring is at its best so it’s always fun being outside and capturing some smiles. In between these sessions, I love sneaking some pictures of the garden on its own. 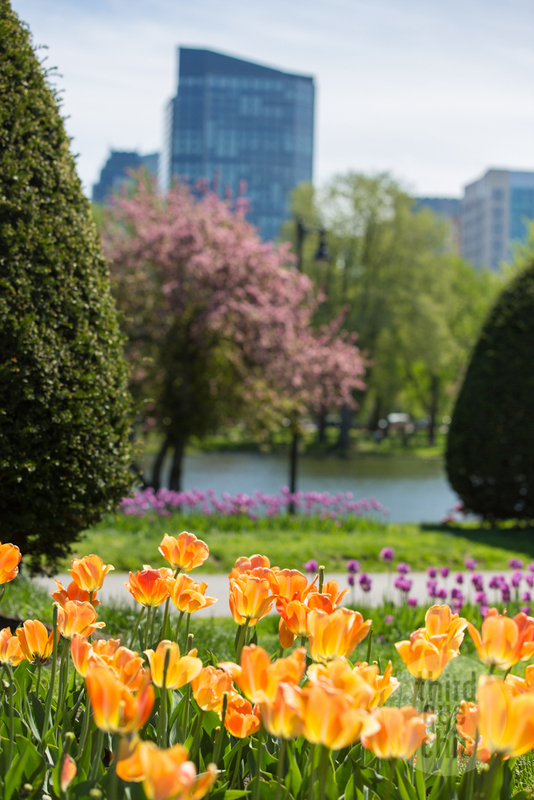 I have hundreds of photos of the Boston Public Garden but I still enjoy photographing it every year in every season. 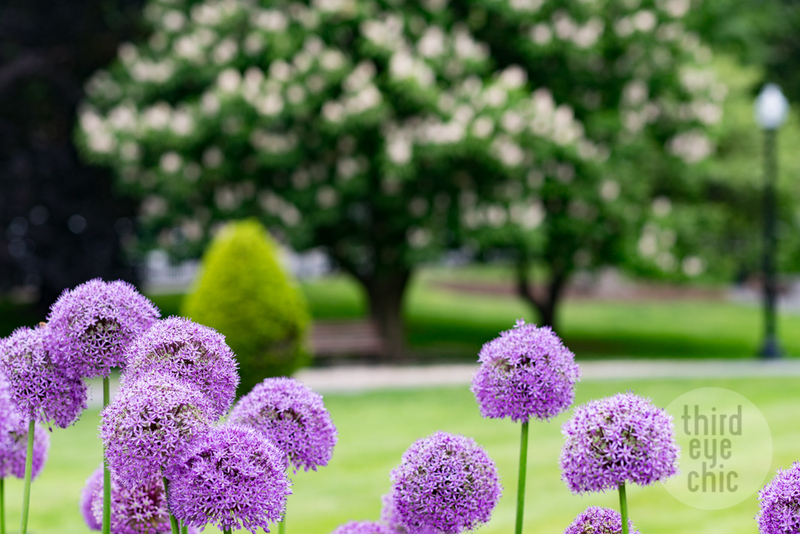 Enjoy some of my favorites from this year’s spring -- it’s lush and gorgeous all around. 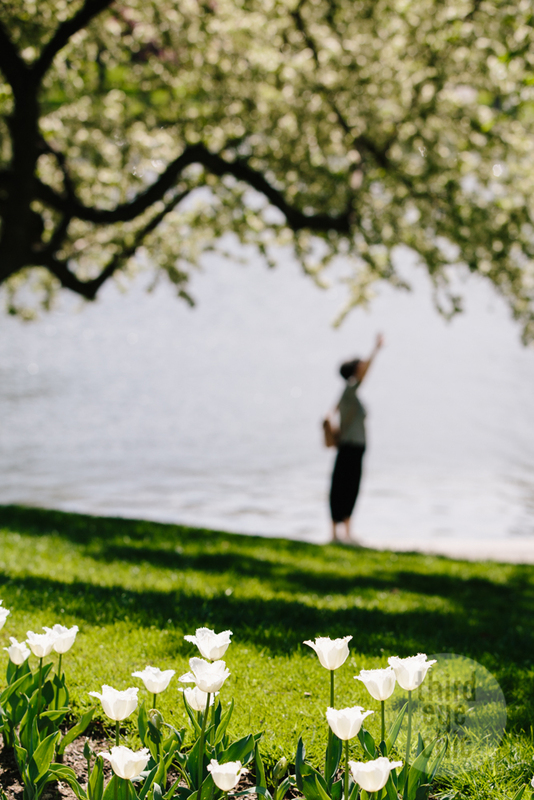 The sweet smell of summertime is finally in the air! We love adding new styles to our closets as the seasons change. These minimalistic yet funkily-designed pieces create the perfect balance for a unique look. Their cooler tones allow you to pair different articles together interchangeably, making it easier to dress your kiddos in the mornings. 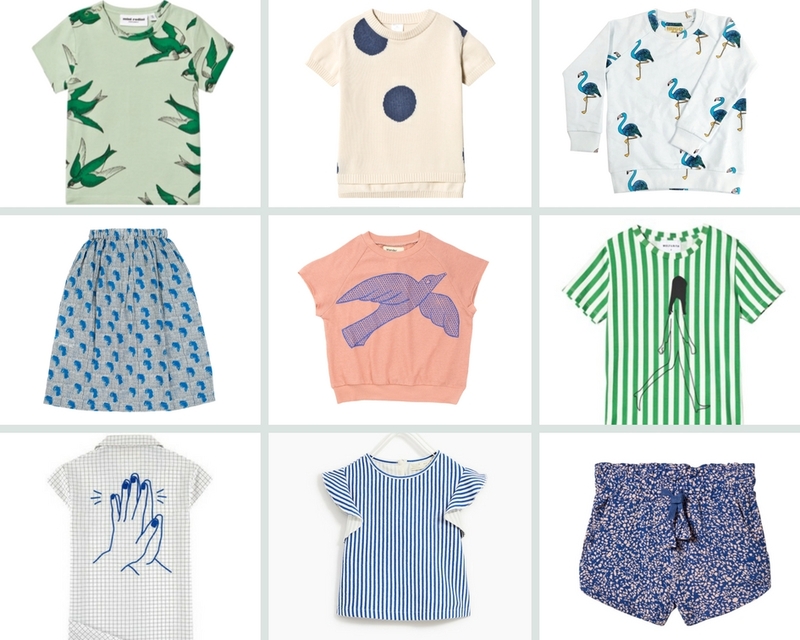 We love the bird prints that seem to be popping up this season and of course you can't go wrong with classic stripes. Which ones are your favorite? I always see parents on social media asking for recommendations about what to do with their kiddos when they visit New York City. Of course, this is a very broad topic and there are a ton of variables -- kids’ ages, personal interests, weather, proximity, number of days in the city, etc. There is no one size fits all but I’m excited to share with you some of the activities my family has enjoyed! 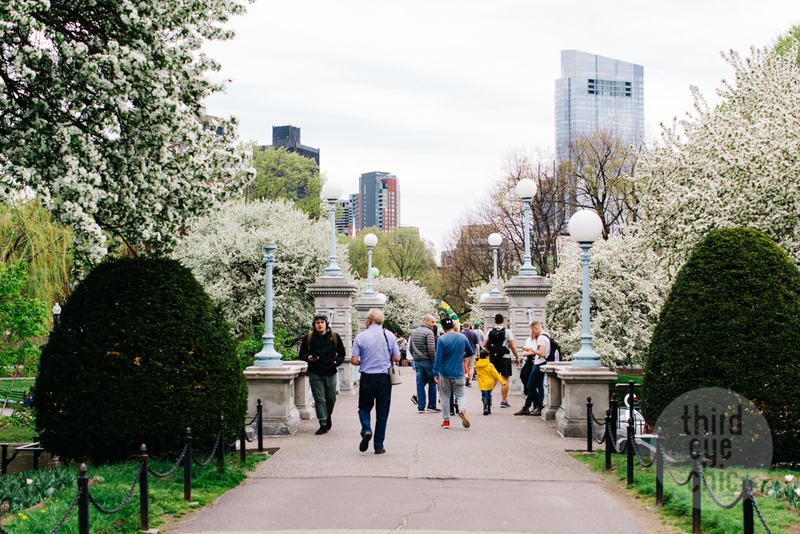 My personal top choices would probably be limited to museums, theatres, parks and activities that involve walking around and exploring the city. But at the same time, we are always open to ideas and having off the beaten path adventures. And now that the girls are getting older, they are starting to express their own preferences more often. 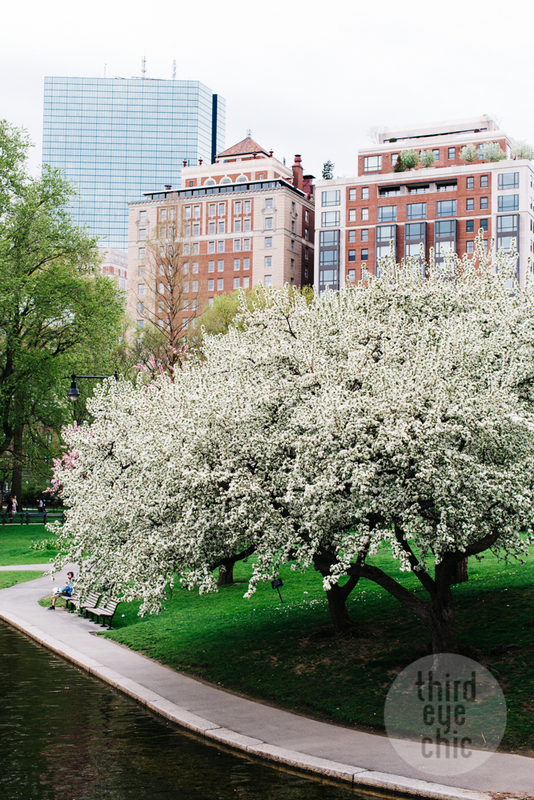 That’s the beautiful thing about visiting the city - the options are endless! Below I’ve shared twenty-five engaging and beloved NYC activities - many are popular recommendations amongst my friends and family. We have personally only explored a handful of these, but you’ll be able to choose what’s best for you and your family based on your personal preferences! 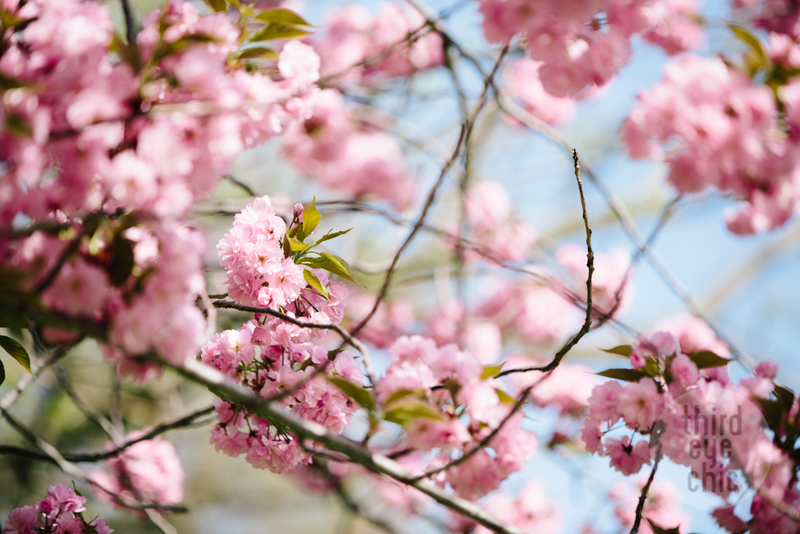 Central Park: Lots to-do in Central Park -- Marionette Puppet Theatre, Belvedere Castle, Balto Statue, Zoo, Model Boat Sailing, and just good old picnics and park time! 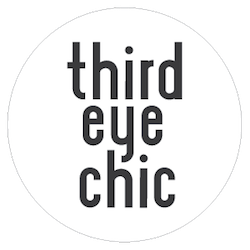 There’s something in there for all age groups and interests - history buffs, art connoisseurs, innovation and adventure seekers, book lovers and more. 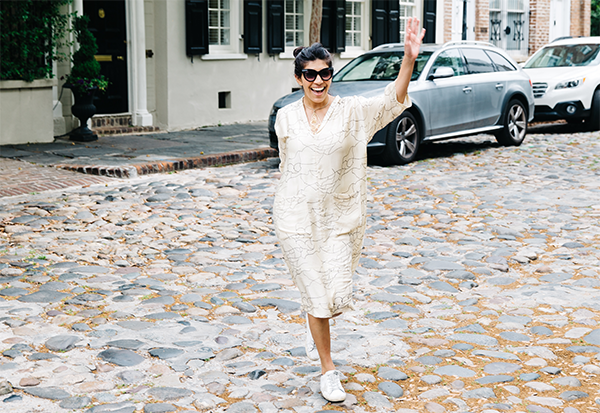 While it can be in the best interest of everyone to have a general outline for the day, sometimes it’s equally as fun to not have an agenda.Walking around the city, exploring residential neighborhoods, Chinatown and other areas can lead to even better memories made. See where the day takes you, keep a positive attitude and just go with the flow! 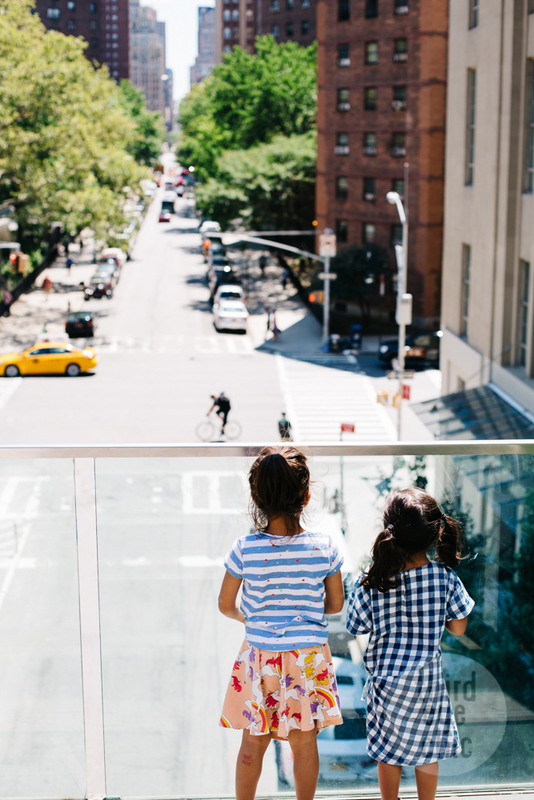 Do you know any other kid-friendly, offbeat activities in New York City? Please do share as we’d love to know! That feeling when you see two separate pieces of clothing and you just know that they just belong together! Mixing this girly floral top with printed shorts creates such a fun, unique look. Print on print with contrasting colors that totally work together. This outfit is so my older daughter N's personality. What's your take on print mixing? As you know, we are huge fans here! Feels like summer this afternoon. After a stressful morning getting the girls out of the door and then being glued to the computer getting some website updates and edits done, I finally stepped outside on the balcony for some fresh air. One hour later and I’m still here. I unfolded the balcony table, spread a clean tablecloth, and ate lunch outside. The birds are chirping, there’s a light breeze and, suddenly, everything feels all right. I’m about to make my afternoon tea and sit quietly for 10 minutes before it’s time to pick up my older one. Just wanted to write a quick note about how amazing it feels to finally have some great weather after a long, hard winter. 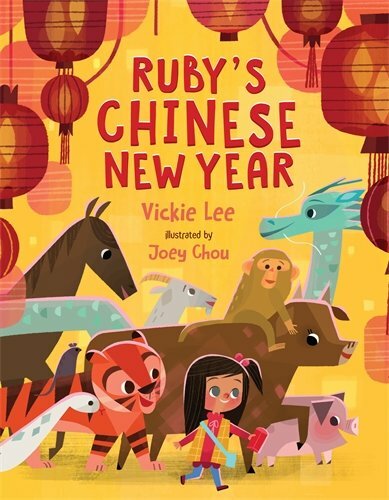 We love introducing the girls to beautifully illustrated books that tell inspiring stories and get their young minds curious about art and different cultures. I’m excited to share five books we’ve read and enjoyed in the past few months. Each book is either based in or starts off in a different country - Japan, France, China, Italy, London. This collection is a combination of gifts from friends, recommendations and our own selections. Enjoy! We picked up From Here to Infinity this past Saturday in honor of Independent Bookstore Day from our neighborhood bookstore. It’s one of my little dreams to be able to view Yayoi Kusama’s exhibit one day. I was so close to making it a reality this past November at David Zwirner gallery in New York, but ultimately it didn’t work out. We couldn't get to the gallery first thing in the morning and there was a more than three hour wait (which was expected but worth a try!) that I couldn't have pulled off with the girls. When I saw this beautiful, colorful book at the bookstore, I just HAD to buy it. 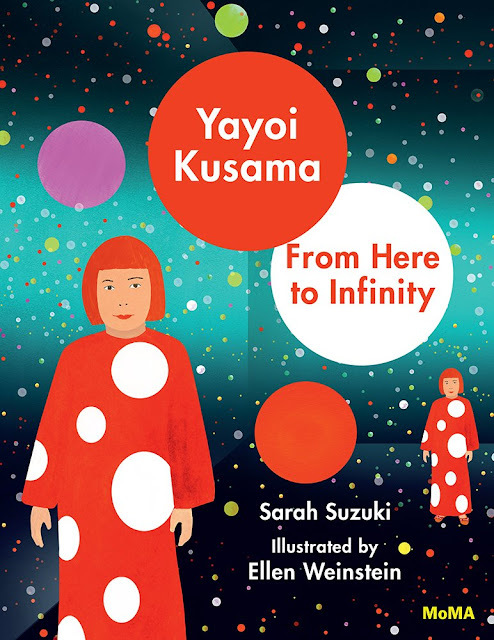 This book tells of Yayoi’s life in Japan and discusses her love for art beginning at a very young age. Her art education took her to NYC where she had her first show. Since then, her art and her dots have traveled the world with her. My 5-year-old especially loved pointing out the different colors and patterns and had a great time reading with me. 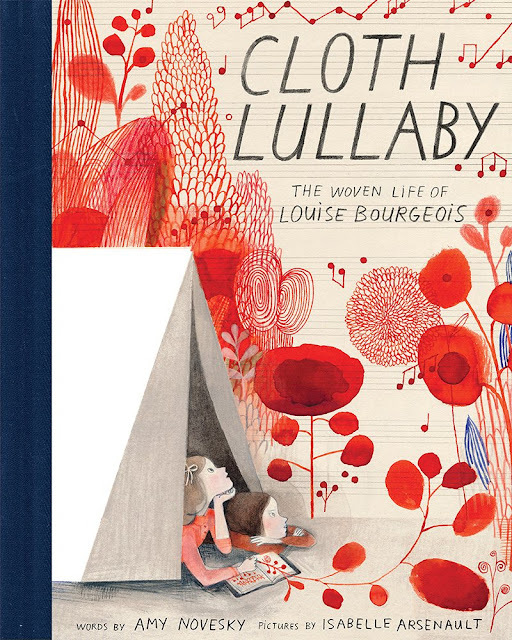 Cloth Lullaby is about Louise Bourgeois, a famous artist, and the relationship she has with her mother. Louise started her career as an apprentice to her mother in their family tapestry business before she branched out on her own. Her childhood memories play a critical role as she creates some of her most famous works. The colors and illustrations are absolutely stunning! What hit home the most is the concept of how wonderful memories woven into us as kids have such a lasting impact. 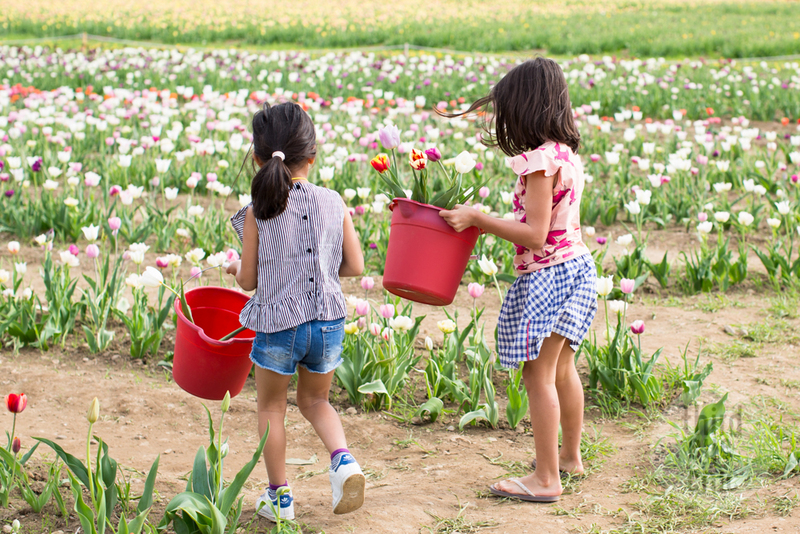 I hope some experiences we share with our girls inspire them as they grow up! The Music of Life is a story of the invention of one of the world’s most popular instruments: the piano. 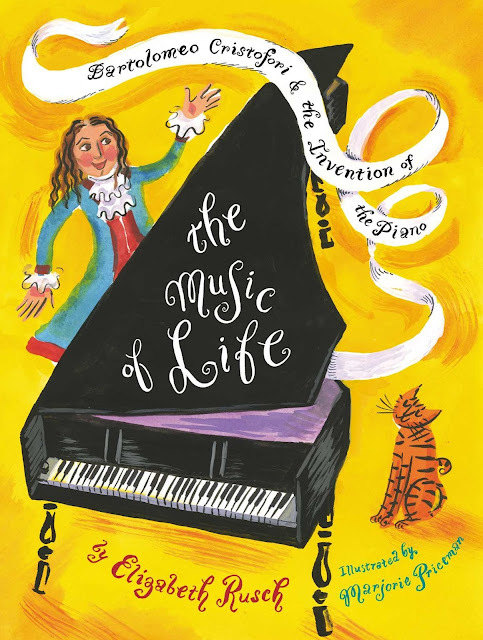 I had never heard this tale before so it was nice to read about the piano’s history and experience it first-hand with the girls. It takes a couple of pages to fully get into the book but it gets more interesting as you go along. 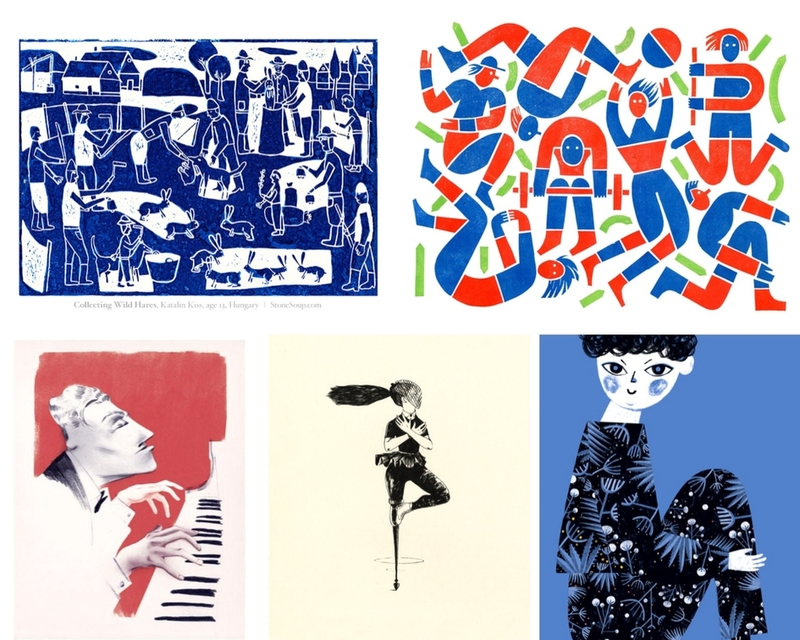 The illustrations are vibrant and engaging. We especially loved how Cristofori used science and his creativity to make an instrument that makes the perfect blend of soft and loud sounds. There are a few Italian words throughout the book. It was fun reading those words out loud and to relive some of the Italian words we had learned on our trip to Italy last summer. Fortissimo! Clara Button and the Magical Hat Day is about a little girl Clara Button and her excursion to the Victoria & Albert Museum with her mother and brother. A book full of imagination and Clara Button’s love of hats. We learned a thing or two about the museum’s artworks: Tipu’s Tiger and Chihuly Chandelier to name a couple. We even wondered about some of the Indian artifacts on display at the V&A acquired from India at the time of the British rule. My cousin, an artist in residence at the museum last fall, recommended this book to us and we are thankful she did! We really enjoyed reading it together and picturing the various hats. What are some of your favorite children’s books that dive into other cultures?